Northland Forest Products in Kingston, NH is a producer of high quality dimensional hardwoods for sale worldwide. They have an aggressive program to control energy costs and carbon emissions. 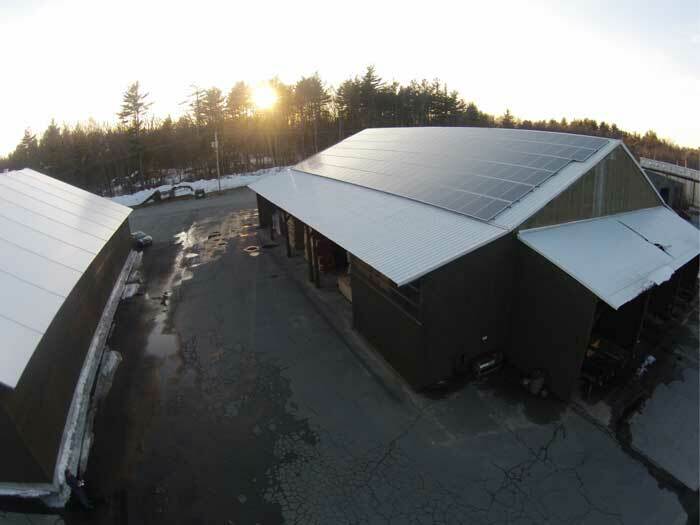 This solar installation, mounted on a wood frame shed with a metal roof provides a substantial portion of the annual load at this mill. 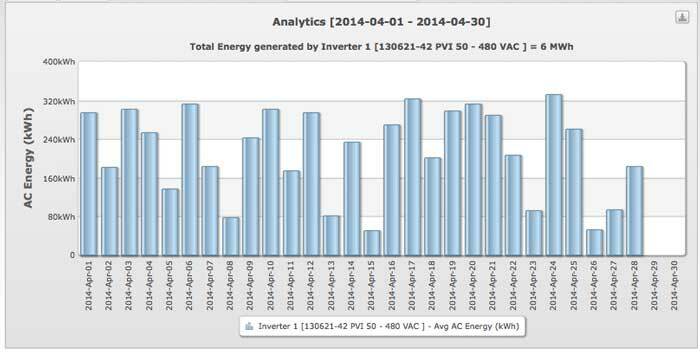 The system is a 48 KW grid tied system with 192 Astronergy 250 watt panels and a Solectria 480 volt 60kw inverter. The system has a REC meter to record and facilitate the quarterly sale of renewable energy credits and an online monitoring system with an email based alarm system so we and Northland can track the system’s performance. 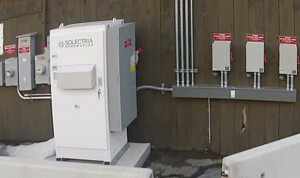 Not long after deciding to install the solar electric system, Northland installed a white fabric storage building directly south of the array. We are already seeing higher than expected production numbers due to it’s reflections. This graph represents production for the month of April. The system is wired to the ground where all the combiner boxes, disconnects and inverters reside for easy access and service.